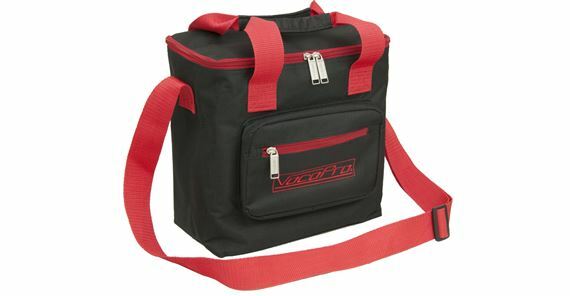 Shop VocoPro UHF8800 8 Channel UHF Wireless Mic System with Bag from AMS with 0% Interest Payment Plans and Free Shipping. Meet the VocoPro UHF8800 8 Channel UHF Wireless Microphone System. 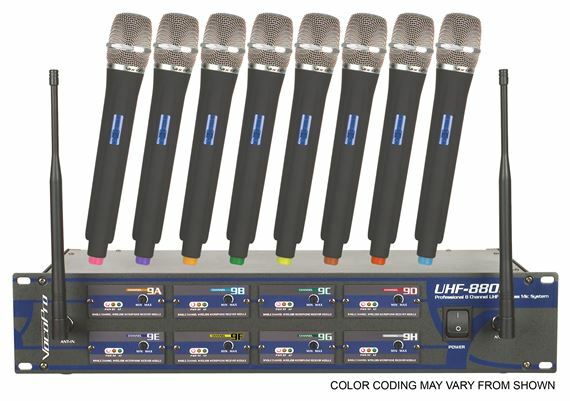 Building on VocoPro's proven UHF5800 series, the UHF 8800 doubles that microphone capability with an astonishing 8 wireless microphone channels. While perfect for multi-microphone speaking engagements and public address, the UHF8800's superior vocal reproduction still makes it a top choice for singers and DJs seeking the best sound for their shows. The UHF8800 is the ultimate in versatility and flexibility and is ready-to-go for any occasion. Our sound board is finally working the way it is supposed to. We no longer worry about our older choir members from falling because of a wire. We are a growing church that was looking for a wireless system to alleviate cables and wires from all over the floor. Boy did we come across a mic system that sounds incredible and for the price you’re definitely getting a steal. I highly recommend this product. "I love these wireless microphones. For the price, it is well worth the money"
I have used 5his brand before. After about six years, I decided to get another set. The price of this set was almost as less as my first set of four. We have used them for 3 services so far and love them. VERY SURPRISED! MADE MY SETUPS SO MUCH QUICKER. NO CORDS YAY! THE SOUND QUALITY IS GREAT FOR GIGGING.. This was a good purchase. We had several different mics for our praise team. This allowed us to get all new mics and the carrying bag was an added bonus!! SUPER, Forget inexpensive- THESE THINGS JAM. These things are incredible. I use the best, but we were on a tight budget... UM, I have had professional singers give these all they want and they sounded fantastic!!! Do yourself a favor, get them. *I haven't had them long enough to know longevity, but at this price for the number... I almost don't care. Was well worth the money, worked great. What can I say about a product that produces great quality, durability, and reliability at a great price. Simply great.